Many tourists from all over the world flock to see this landmark. The buzz around it is incredible, and of course the money perks of charging 16-17 euros to every person who wants to get inside can’t be bad for tourism profits. 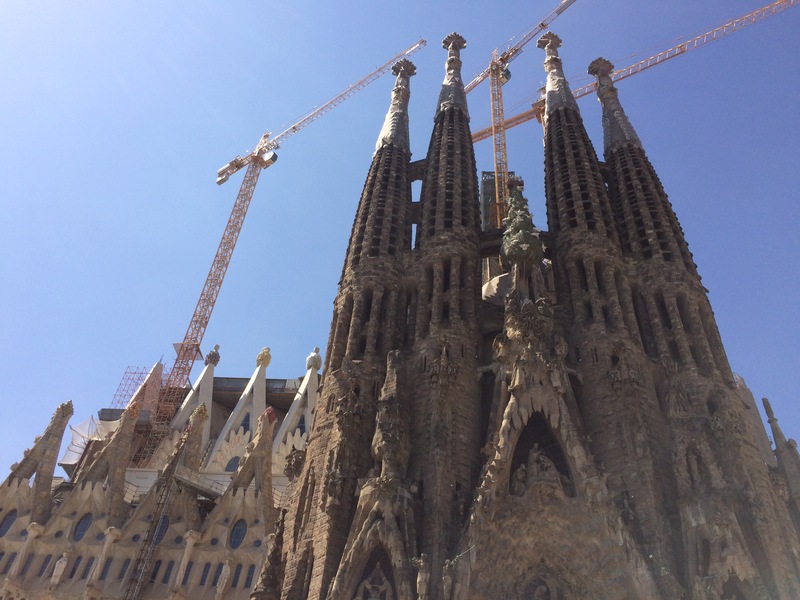 This very large Roman Catholic church, designed by Spanish architect Antoni Gaudí is a UNESCO World Heritage site, even though it isn’t even finished yet! Construction of Sagrada Familia began in 1882. In 1926, by the time that Gaudi died at age 73, less than a quarter of the project was complete. Gaudí devoted his last years to the project. It is absolutely beautiful and the detail is breathtaking. Every single piece is carefully crafted. So much detail that you could gaze and notice different shapes for days. 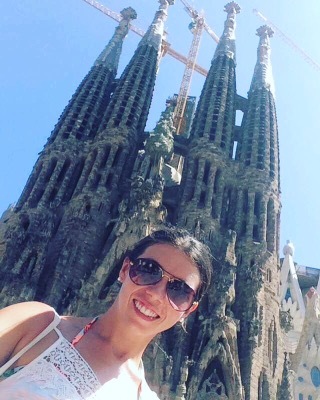 Gaudi took inspiration from the Vatican in Rome, which I’ve also been lucky enough to visit and you can definitely tell because of the style and detail of even just the outside of the church. Being my impatient self I couldn’t be bothered with the queues, but seeing the beauty of just the outside was more than enough. 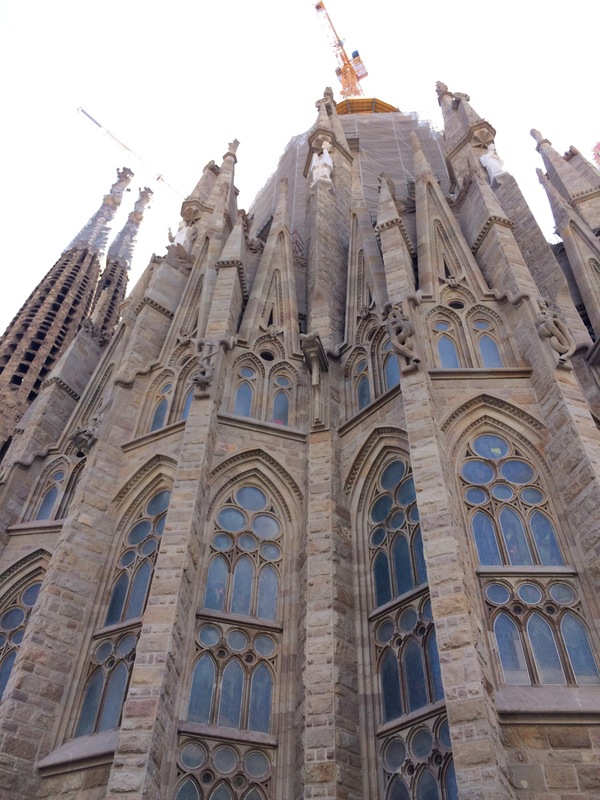 The towers and most of the church’s structure are to be completed by 2026, the centennial of Gaudí’s death, and the decorative elements should be complete by 2030 or 2032. Making it an architectural masterpiece that will take 150 years! Can’t wait for that grand opening!